Thanks for the manufacturing documents, they look good! Here are your StairDesigner manufacturing files. Note that the part of the steps in the newels are not optimised for cutting as they are calculated around a string that isn’ there. Have fun building, and keep us updated as to how it goes. It seems that you have set the newel to the correct size and position as per your drawings. The string to newel penetration depends on how you want to assembly them. Penetration is used when you either housed or mortise and tenon. In most cases I advise a bolted joint which is easier, faster and stronger that tenon and mortise. I attach a model that I have adjusted the steps to make all step and riser penetrate frankly on the face of the newels , it’s a real pain to have housings on a corner! Tell me if this latest version is OK and confirm you still want the newel penetration and I’ll send you the working documents. Thanks for your optimization of the stair design and the great advise for printing and Draftsight. What I didn’t mention before is that there is an existing 1st floor stair on which the new stair has to rest. I modified the middle newel post offsets to consider the exist newel post of the stair of the 1st floor. I hope I did it correctly as I cannot verify the newel post dimensions and position directly from StairDesigner. I hope you could help me check them before generation of the manufacturing documents? Attached I enclosed the .dwg drawing with dimensions and a ppt with some explanation. 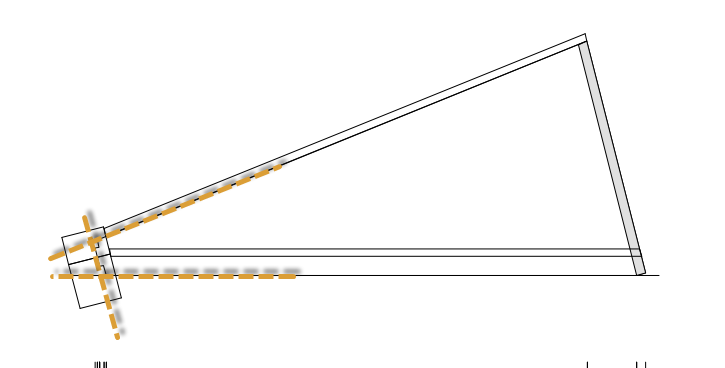 Further I set the length of the middle post to 350cm in order to have a horizontal handrail on the 3rd flight. I’ve optimised your project and attach the StairDesigner file for your approval. Although possible, I consider printing onto tiled A4 tricky to get accurate templates. The minor differences when matching up the sheets to the full length of the parts will require that you mark out the different overall lengths to make sure the dimensions line up, this is also true for A3. If you don’t have access to at least an A1 printer it’s usually better to add dimensions to the a A4 drawings in CAD and mark out the parts from the dimensioned plans. In general we advise subcontracting the printing to a professional printer who prints architectural plans. These guys can usually print large format plans for minimal cost. As a stair professional myself I have a large A0 plotter in my office, but most of my stair templates are subcontracted to my local printer who can printer faster and better than I can. My plotter is only used for on off print outs that I need immediately. Thanks for posting you question. We will be happy to help, but we are all away for Christmas, so I’ll be getting back to you next week. 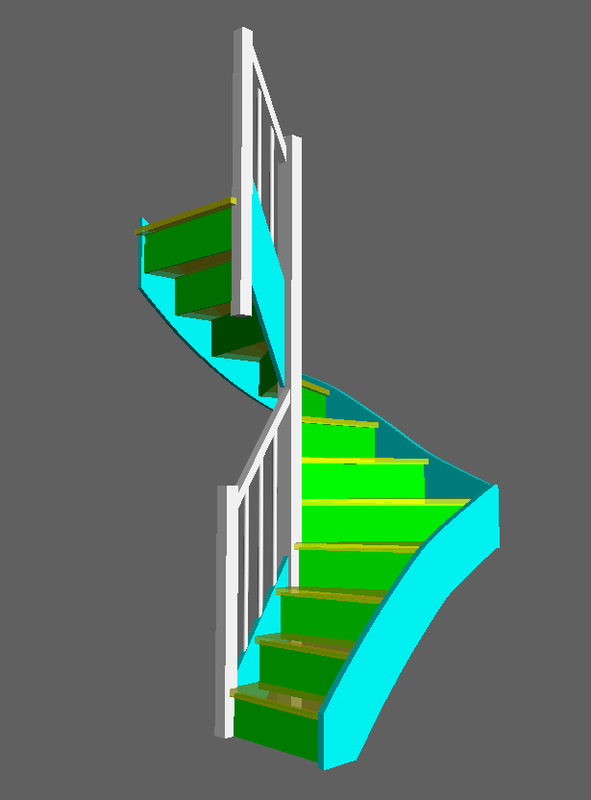 Could you please help me with the PDF and DXF manufacturing documents to build the stairs as attached in the .sds? What I would like to do is print 1: 1 scaled templates on paper (especially for the stringboards and posts). Therefore I would like to use an A4 printer (or in case advisable A3 printer). Could you help me with PDF documents that support this idea of tiling the print templates?